Stem Cell Lift or Stem Cell Filling? The word “Laser” has enticed patients since the technology was first associated with medicine. Anything “laser” meant better, less pain, better technology, which of course meant that it was the best. Lasers are an amazing technology. But just because something has a laser does not mean it is better. For instance laser liposuction devices such as SmartLipo have been fairly well debunked as marketing gimmicks. Yet that never kept patients from flocking to have that procedure done. 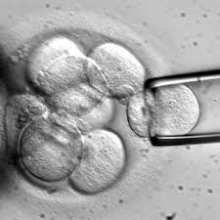 The newest term that is the darling of unscrupulous medical marketers is the term, “Stem Cell.” With little doubt stem cells will end up improving health and lives as much as any innovation in the history of medicine. But at this point there is no evidence to justify the use of the term “Stem Cell Facelift.” Fat is injected to fill the face, and along with it some stem cells. But does any technique that minimally increases the amount of stem cells make a difference from just using fat alone? At this time absolutely no evidence suggests that current stem cell purification technology makes a difference in the face, and to suggest that it does is unethical marketing hype. In any case, adding fat or stem cells is not a lift; it is a filling. Adding volume is important to reverse aging. But calling what at best is “Stem Cell Filling” a “Stem Cell Lift” is an example of “bait and switch” at its very worst.